All of our professionals at Metro Foot and Ankle Centers, PC maintain the highest levels of accreditation and pursue ongoing education to stay abreast of the latest trends in podiatry. 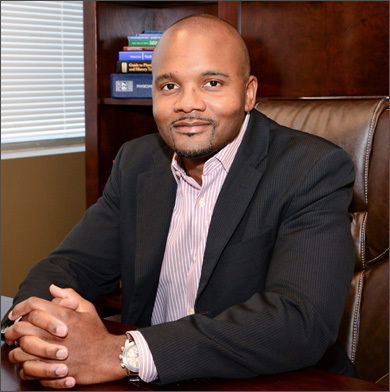 Dr. Bass is originally from Montgomery, AL, graduating with honors from Jefferson Davis High School in 1998. He later graduated from the University of Alabama as a Pre-Med /Finance double major and recipient of the Outstanding Economics Achievement award. From there, Dr. Bass received his medical education from Temple University School of Podiatric Medicine. As a Temple Merit and Presidential Scholarship Award recipient, Dr. Bass maintained his standing with the Stirling-Harford-Diprimio Honorary Anatomical Society as well as the Pi Delta National Podiatric Honor Society. Dr. Bass later continued his post-graduate medicine and surgery training at Dekalb Medical Center in Atlanta, Ga. receiving extensive training in reconstruction of the foot and ankle as well as diabetic limb salvage. He went on to complete one year of advanced trauma surgical training at Aria Health hospital in Philadelphia, Pa. where training was centered on the reconstruction of complex foot and leg fractures. As an educator, Dr. Bass is an author in the Podiatry Institutes’s annual “Reconstructive Foot and Ankle Surgery Update series,” which compiles the latest advances in Podiatric medicine and surgery. Dr. Bass has lectured around the country on such topics as surgical arthrodesis and proper antibiosis for skin and soft tissue infections. In addition, Dr. Bass trains residents at Dekalb Medical Center as well as the Atlanta Center for Foot & Ankle Surgery. As a Physician, Dr. Bass is adamant in his belief that one should always strive for excellence. As a student of medicine, he continues to stay abreast of the latest advances in medicine and surgery through constant review of the current medical literature. Our friendly office staff is dedicated to putting our patients needs first. If you have any questions regarding insurance coverage, appointments, etc. please give us a call.